Yes, I am sorry…today is Wednesday and I promised you these on Monday. It’s just the melon vine happened, and my mom stayed with us last night, and you know how it goes, right? Let me tell you, though, Matt has declared these to be his new favorite quesadilla 🙂 I was pretty pleased when he made that statement…. and even that he wasn’t eating one at the time, he was just thinking about having eaten one 🙂 SCORE. If you didn’t already know this about me, I have worked in a number of pizza joints over the years. 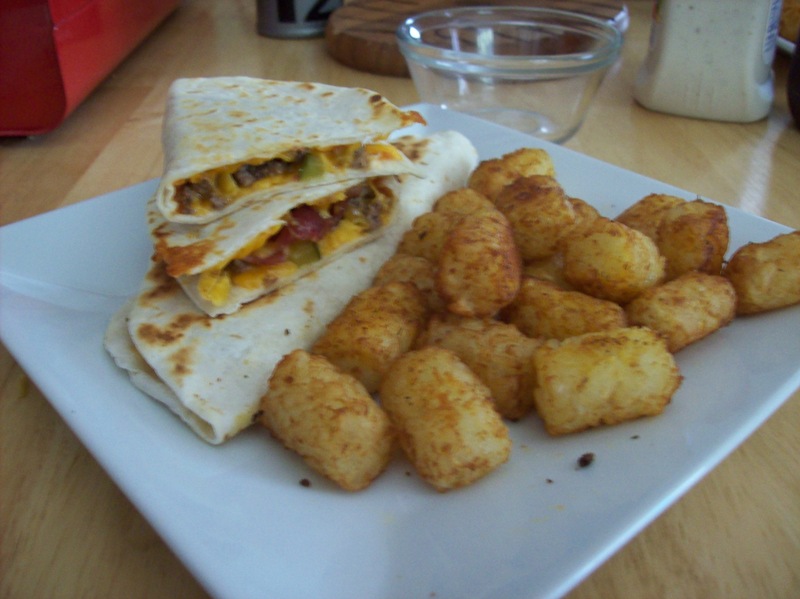 So, I took what I know about bacon cheeseburger pizza… and I mean a GOOD bacon cheeseburger pizza and turned it into quesadilla awesomeness! 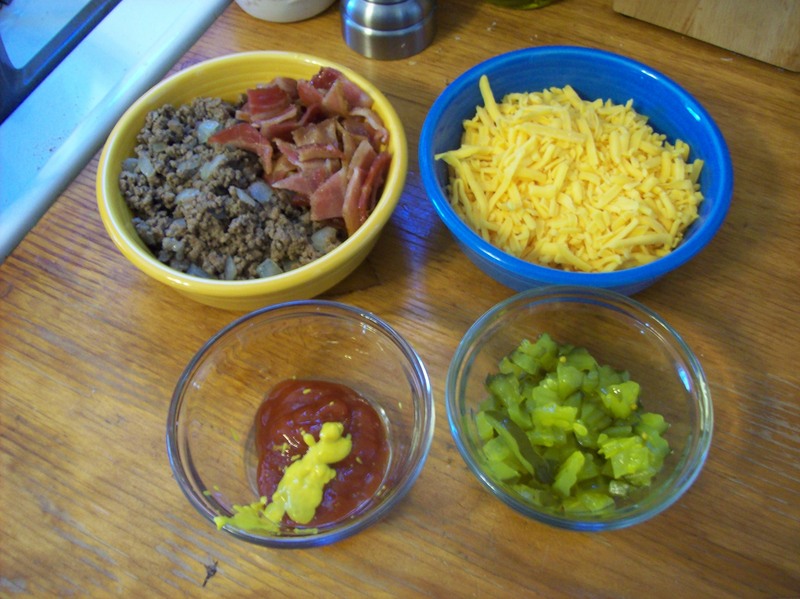 From the top left: seasoned ground beef with onions, bacon, cheddar cheese, diced up pickles, ketchup & mustard. 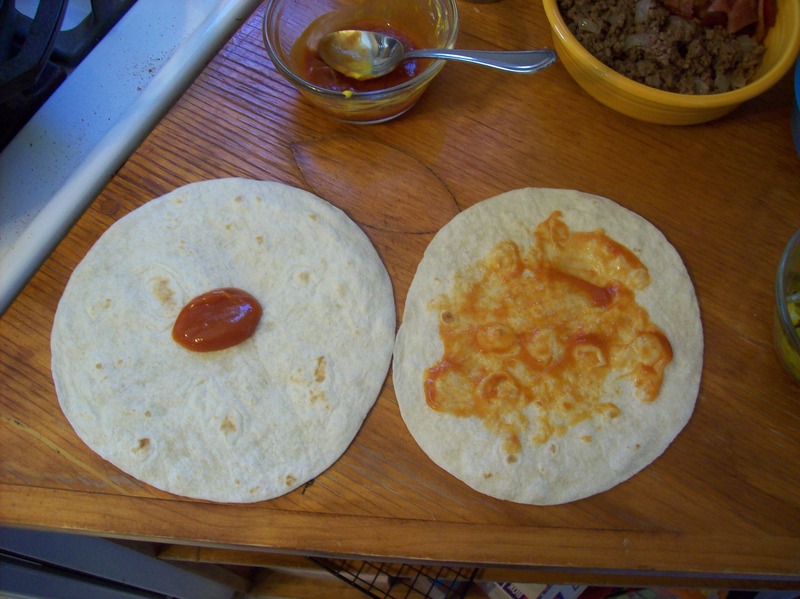 And,tortillas, I use the smaller mission ones. Then you do a little bit of this action…. Mix that ketchup & mustard together! 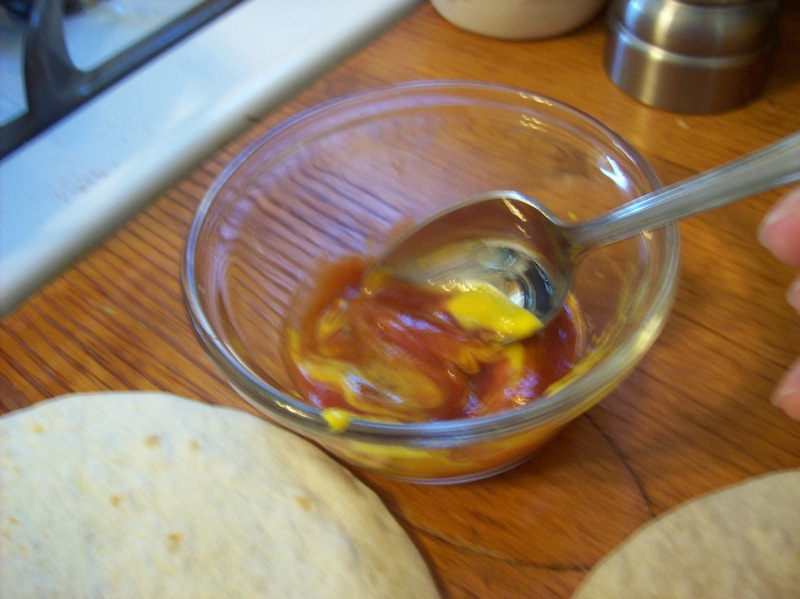 Mix 4 parts ketchup to 1 part mustard, and spread lightly on tortillas. Top with cheddar cheese, toppings, and cheddar. 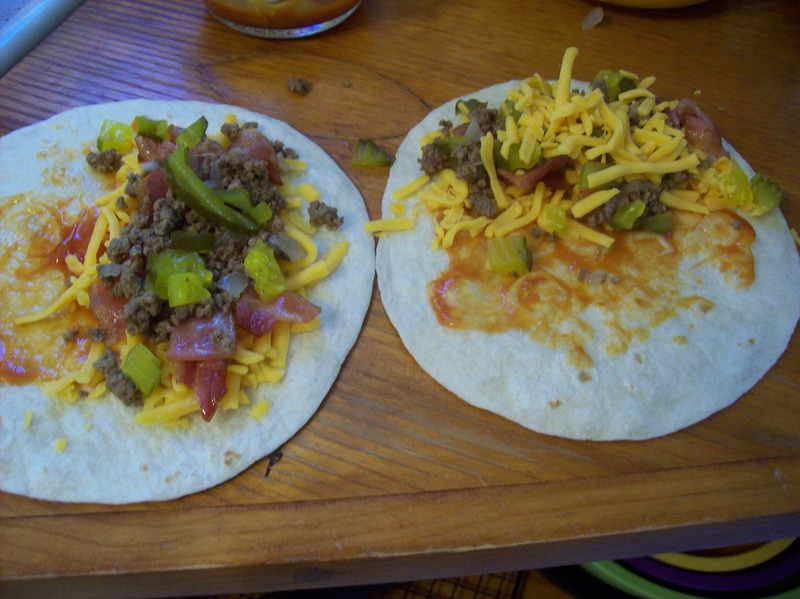 fold over, and place in a skillet heated to medium or medium high, you know your pan/stove top. Cook until golden brown, and melty, flip and repeat. These look really really delicious!